It’s really awesome to find out what all changes bronzers and highlight and do to your face. 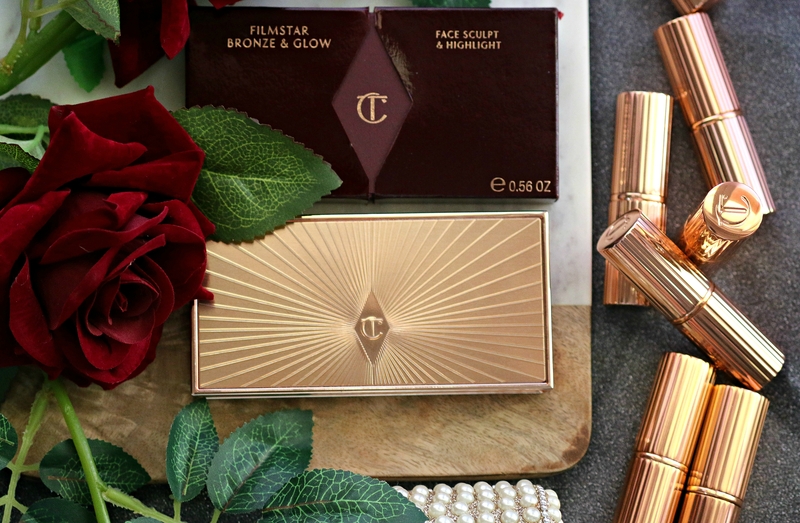 Charlotte Tilbury, being one of my favorite brands ever. 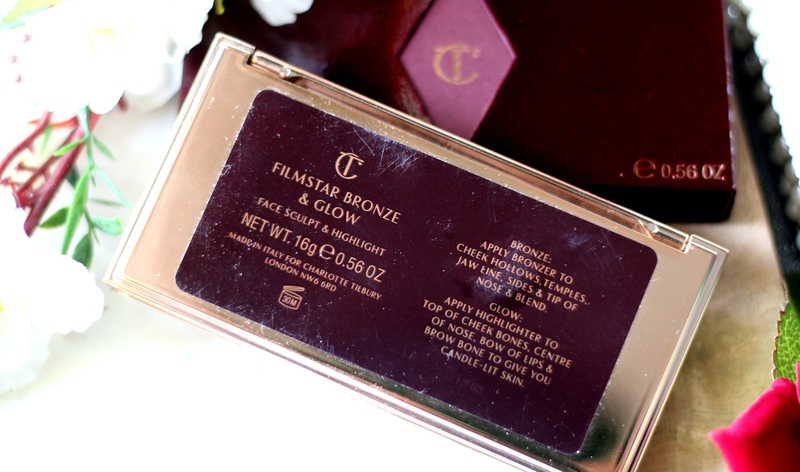 I was really excited to test the Filmstar Bronze & Glow Face Sculpt & Highlight. Now, I really took my time in deciding which shade I want to purchase. This product is available in two shades. Light-Medium & Medium-Dark ; Medium-Dark looked very dark for my complexion and so I decided to try the Light-Medium. Filmstar Bronze & Glow Palette will help you slim, sculpt, shorten, trim and highlight your features for fabulous red carpet ready facial framework. This shade is perfect for fair to medium skin tones for buildable, subtle coverage. 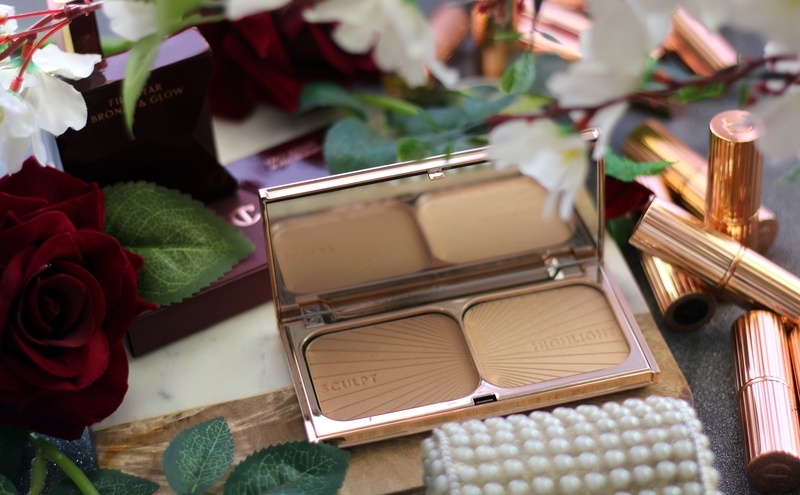 luminous complexion is the perfect base for your makeup look, so a gorgeous glow is vital! 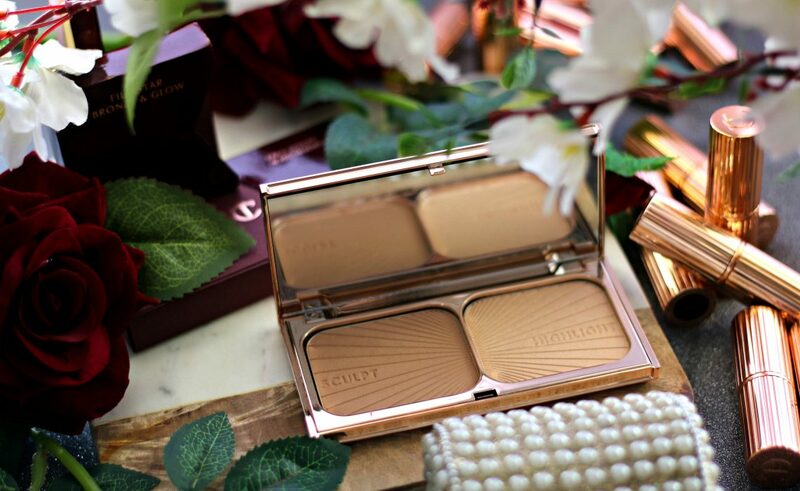 The bronzer is a blend of pearl and pigment to help contour your face and mimic that sun-kissed skin. The highlighter has a golden base to universally flatter any skin tone, with Light Flex Technology to capture and reflect light just where you want it. Color-rich pigments are rolled into elastomer pearls that smooth and buff your skin for a blendable and even coverage. Ideal for fair to medium skin tones who want subtle yet buildable color. 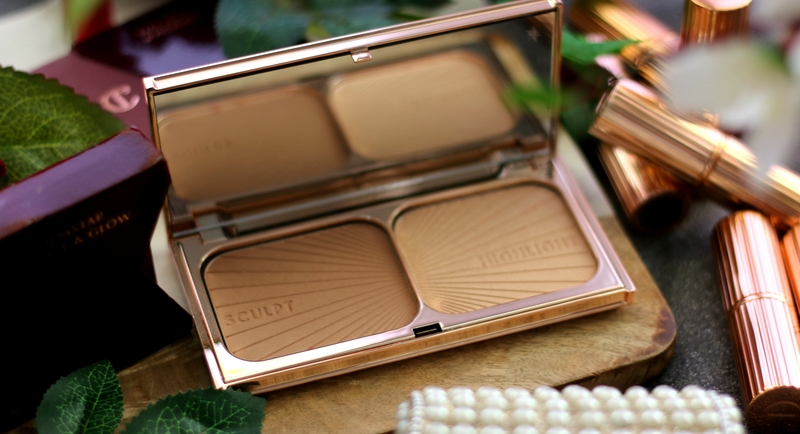 Charlotte Tilbury Filmstar Bronze & Glow Face Sculpt & Highlight comes in a luxurious packaging. 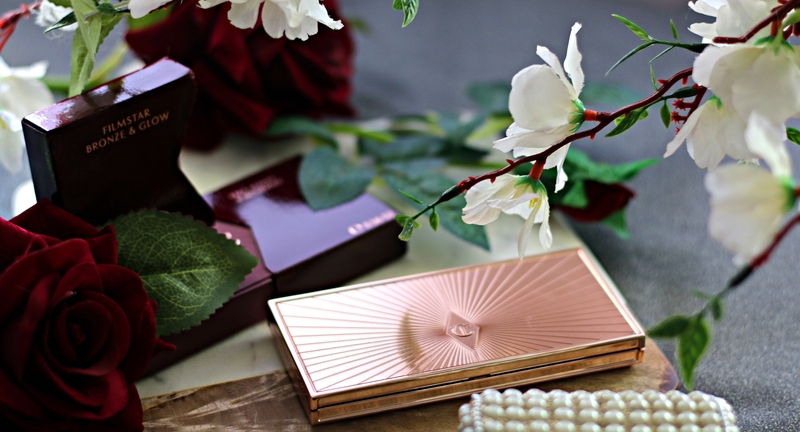 The beautiful rose gold colored compact adds beauty to it. It has a warm bronze with a satiny shimmer glow and a champagne highlighter. I’d describe this shade Light-Medium as a Sun-kissed brown bronzer and champagne beige highlighter. 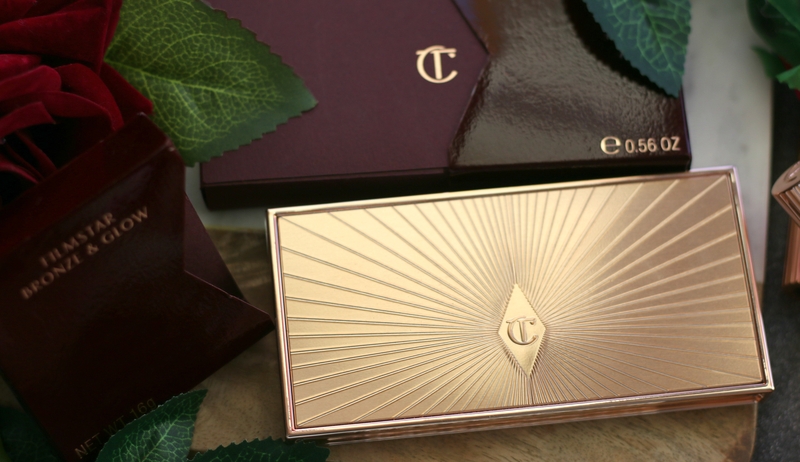 beautiful rose gold packaging, isn’t it? The Sculpt/Bronzer side is a warm peach color that blends beautifully and it quite work well on fair-medium skin tones. It’s not very orange. Texture is soft with a satin finish and a beautiful sheen to it that adds definition. More than a bronzer; It appears like a warm toned peach blush on my skin. For me, as I am not much of a contour person, I quite liked it. If you are more of a medium/tan skin girl ; You might not like it. The Highlight side is a pale gold/champagne highlighter. Initially when I saw this, I wasn’t quite sure whether this is going to match my skintone. It has shimmers to it; Yet, it didn’t emphasize pores on my face. Go very light handed while applying this and that’s the key. It’s very pigmented and adheres well to the skin. I like to dip the tapered highlighter brush into the compact and then tap off the excess before applying. It’s not very white or too yellow on my medium skin tone. Just the perfect mix. I also use it for my eyelids too. Apply the ‘Sculpt’ shade to the areas you want to define using Charlotte’s POWDER & SCULPT MAKEUP BRUSH: the hollows of your cheeks, the temples, jaw line, the sides and tip of your nose. Never forget to blend-blend-blend! Charlotte’s Tip: Use this bronzer & highlighter with the AIRBRUSH FLAWLESS FINISH POWDER first for maximum staying power and adherence! 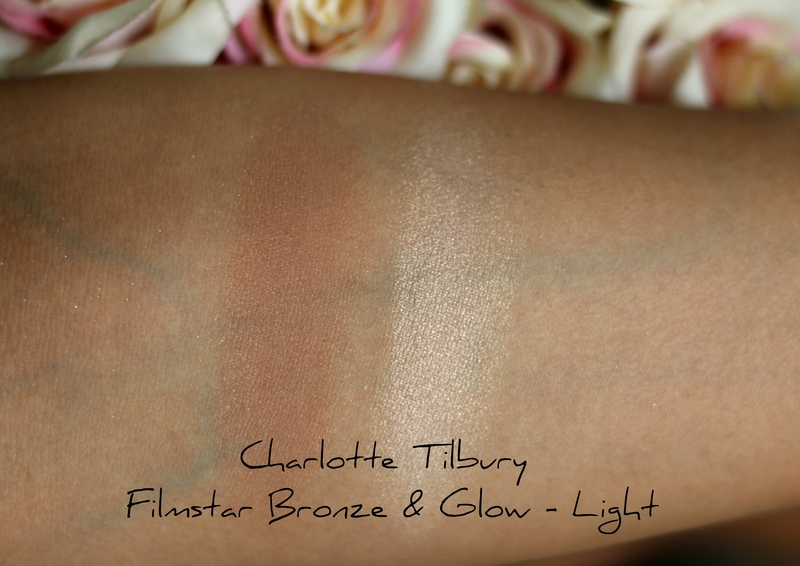 Have you tried Charlotte Tilbury Filmstar Killer Bronze & Glow Face Sculpt and Highlight. What do you think of them?